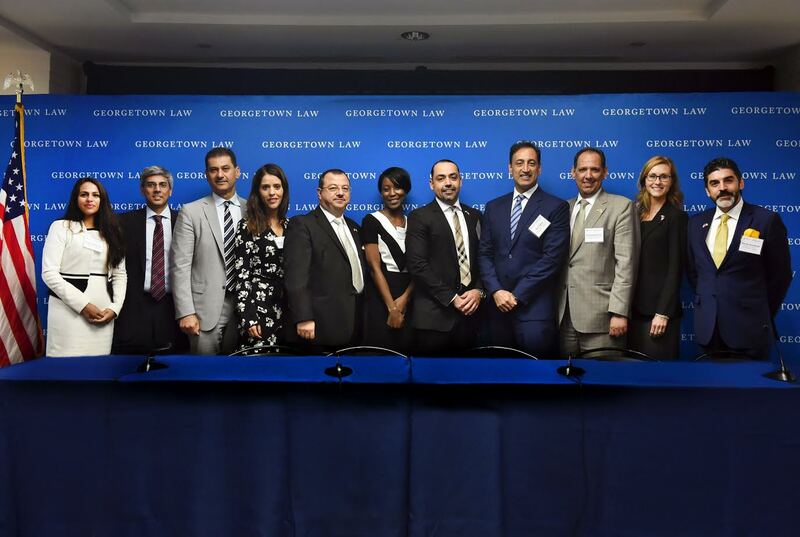 As global business interest in the Middle East heightens, Al Tamimi & Company, the largest law firm in the Middle East, hosted a seminar in Washington, D.C., during the annual International Bar Association (IBA) Conference. The seminar, titled “Doing Business in the Middle East: Legal Considerations & Successful Strategies”, was hosted in partnership with the Institute of International Economic Law at Georgetown University Law School, one of the world’s leading centers for international economic law and policy. It provided key players from the legal and business landscape the opportunity to hear from industry experts on the legal framework, foreign investment landscape, and opportunities that exist in the Middle East. “Now more than ever, the world is looking to the Middle East. As Saudi Arabia seeks more foreign investment into the Tadawul, and as Saudi Aramco gears up for its IPO, banks, brokers and consultancies will be keeping a close eye on developments. However, the wider region is also looking to diversify from hydrocarbon-based revenue streams, so there are big opportunities for international companies in nearly every sector. In the UAE, healthcare and education are a big focus and continue to attract investment, and in Qatar, infrastructure projects are developing in the build up to the FIFA World Cup in 2022. Key speakers at the event included Essam Al Tamimi, Senior Partner & Founder, Al Tamimi & Company; William M. Treanor, Executive Vice President and Dean of the Law Center, Professor of Law, Georgetown Law; David Hamod, President & CEO, National US Arab Chamber of Commerce – Washington; Ross Leckow, Deputy General Counsel, Legal Department – International Monetary Fund; Dr. Andrei Mikhnev, Head of Trade and Competitiveness, Middle East – World Bank Group; James Pickup, President and CEO, Middle East Investment Initiative – General Counsel, the Aspen ‎‎Institute; and Shaun Donnelly, VP Investment and Financial Services of the United States Council for International ‎Business (USCIB). Earlier this month, Al Tamimi & Company announced the opening of its new office in Al Khobar, in the Eastern Province of Saudi Arabia, one of the country’s largest markets. The office is the law firm’s third in the Kingdom and, combined with its existing operations in Riyadh and Jeddah, gives it coverage across the whole of Saudi Arabia. It also becomes the 17th office the firm has opened in the Middle East since its foundation. Al Tamimi & Company is one of the premier law firms in the Middle East and the largest law firm in the region, with presence in all of the six GCC countries. Established in 1989, the firm has 56 partners, staff of over 670, and 17 offices in nine countries throughout the UAE , Bahrain, Qatar, Iraq, Saudi Arabia, Jordan, Kuwait, Oman and Egypt. The firm specialises in advising major international corporations and financial institutions, Middle East banks and financial institutions, government organisations, businesses and families in their global operations and investments. It has particular expertise in arbitration & ADR, banking & finance, dispute resolution & litigation, IP & data security, shipping & aviation, project & infrastructure finance, real estate & construction, corporate & commercial, technology, media & telecommunications, insurance and private client. Georgetown Law is one of the world’s premier law schools with leading programs in several areas, including international, constitutional, tax and clinical law. IIEL is the focal point for the study of international economic law at Georgetown and is a thought leader in investment and financial regulation, tax, trade, business and monetary law.